We are also a big fan of other cultural weddings as well so no wonder why Persian weddings are great things for us. The sofreh (spread) aghd (ceremony) is very customary at Persian weddings where legal marriage and traditions are exchanged. This has been practiced for thousands of years regardless of faith where many symbolic items represent an element of the couple’s new life together. Each spread has the traditional items but they are all unique and custom designed by the taste of the bride or the groom or their families. 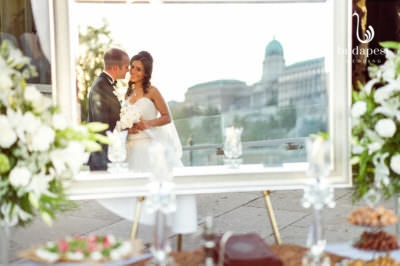 The must haves are the mirror which is bringing light and brightness into the life of the happily married couple. As of the tradition the bride and groom have to sit facing to the mirror together. The candles next to the mirror symbolising the energy and the clarity in the life of the couple. All the assortment of herbs and spices are placed on the spread to guard against the evil eye just like the coal brazier. They must have the 7 most important herbs and spices which are as follows: poppy seeds, salt, black tea, frankincense, wild rice, angelica and the nigella seeds. The eggs also play important role on the spread which represent the fertility, same as the almond, walnut and the hazelnut. These three seeds also bring abundance while feta cheese with the flat bread give prosperity in the couple’s life. Some seasonal fruits are also essential that has a meaning of joyous future but the rock candy symbolises the sweet life together too. Coins need to place on the spread too that brings wealth and prosperity. During the ceremony the couple has to dip their little finger into the honey to taste the sweetness of the life however at same time they do the same with salt as well to understand the down side of life and to appreciate the good things. Perfumed rose water in the air is also often used. The holy book of the couple’s choice is God’s blessing for the couple. Older or female women place a fine fabric over the couple’s head throughout the ceremony while rubbing a sugar over the cloths is again a shower for the newly weds bringing sweetness into their life. During the ceremony a herb is burned as part of the ritual ceremony which is a tradition for purification. Then the needle and thread symbolise that the two families are becoming one. All these symbolic items lay not only on the spread but on a traditional Persian silk cloth handed over from generation to generation to symbolize the family traditions. If you are convinced that we understand Persian customs let’s start planning yours. Come and explore our venue options!